Have you heard about Twitter’s new video feature? 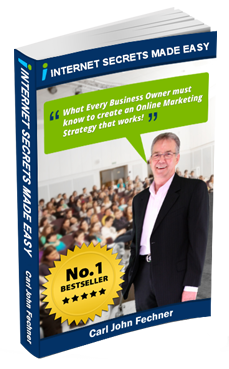 Do you want to know how you can use it to your advantage? Video is a great way to tell your story, connect with your audience and grow your Twitter following. 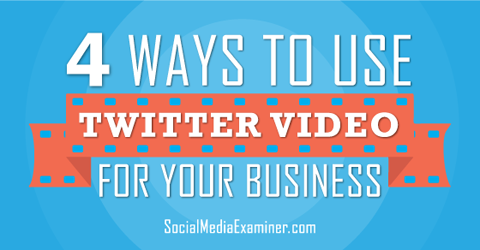 In this article you’ll discover four ways to use Twitter video for your business. Thanks to Sarah Quinn for creating this article. Discover how to use Twitter video for business. Twitter video is fairly straightforward. You can either record new video from your smartphone, or if you have an iPhone, you can upload a video you’ve already taken. On your phone, open the Twitter app. Start a new tweet and touch the picture icon. Next, touch the camera icon and switch your camera to video. You have 30 seconds to capture your video. Since you typically lose around one-third of your viewers after 30 seconds, this time constraint works in your favor and keeps viewers engaged. 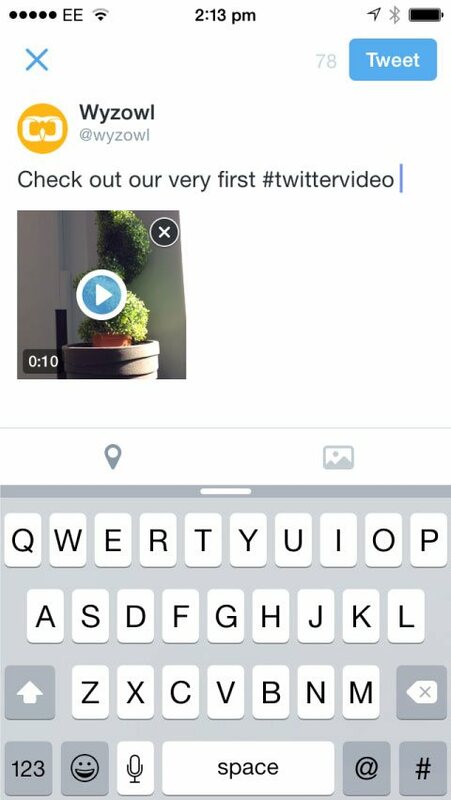 Twitter video allows you the freedom to edit before you post. You can also record separate scenes and edit the footage. With a simple drag and drop, you can creatively switch up scenes to suit your brand’s style. Create, caption and upload your Twitter video. When you’ve shot your video, come up with a caption that will entice your audience (don’t forget to use relevant hashtags), and upload it for the world to see. Have you considered replying to tweets via video? 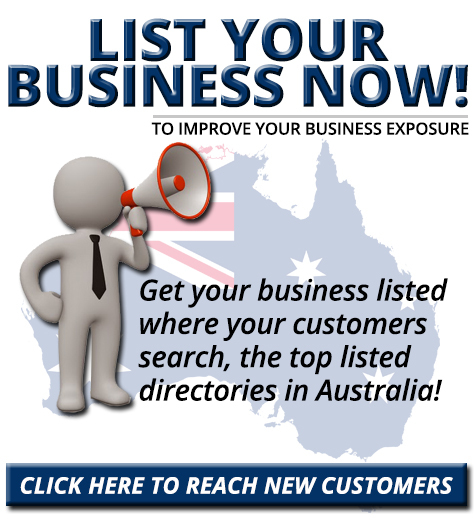 This is an excellent opportunity for your followers to get to know the people behind your brand, which is important when you’re trying to connect on a personal level. Video is a simple way to respond to your audience, and it’s far more engaging than a simple tweet would be. Responding using video is more personal and engaging. 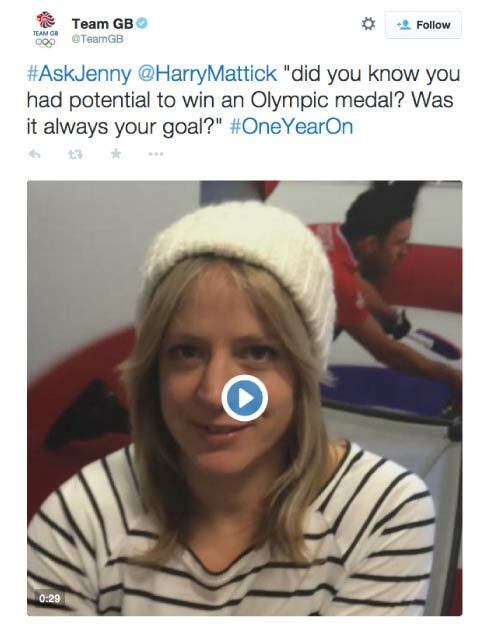 When TeamGB decided to host a Twitter chat, they included video replies. They asked their fans to tweet in questions and got a well-known sports personality to respond to those questions via video. If you want to host your own Twitter chat, remember to include a unique hashtag so your audience can easily follow and join the fun. 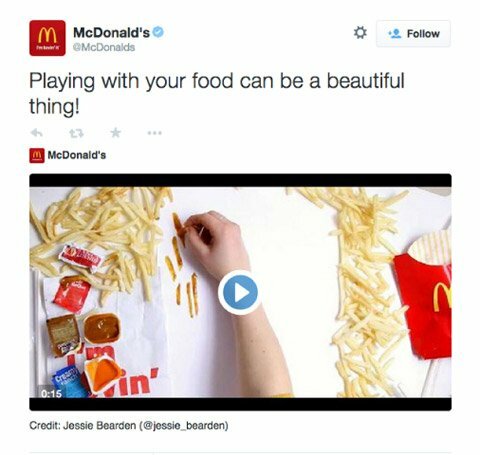 Brands are using Twitter video to cover events as they’re happening. Twitter video drums up more interactivity by involving followers in the big event if they can’t be there. Plus, Twitter video stands out in the fast-moving Twitter feed so you can garner more attention. When Tide attended Mercedes-Benz Fashion Week, they teamed up with a popular fashion stylist to create a Twitter video. 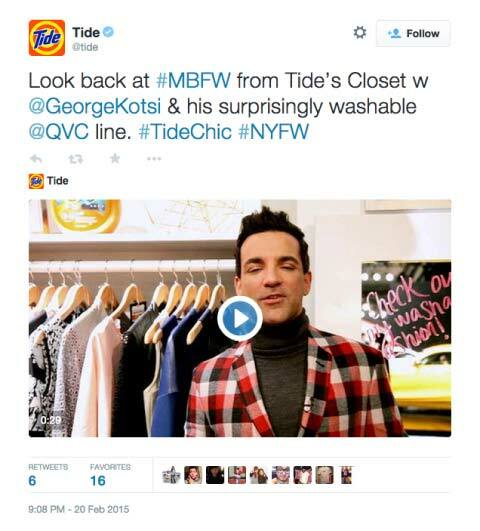 Tide video-tweeted live from a major fashion event to reach a large audience. The video worked really well for them. Not only did it relate to their product, but also since people were live-tweeting about the event, the promotion was perfectly timed to hit a huge following. Twitter video works equally well if you’re holding your own event and want to gain more exposure. Capture a quick video and share it with your followers to keep people connected to your brand. Sharing content other than your own is useful and fun for your audience. However, that doesn’t mean you can’t create promotional videos—as long as they’re done well. McDonald’s is a good example. The content they create is fun and engaging and includes their products as the center of every story they tell. It’s smart, innovative and playful, and helps to significantly increase their shares and follows. McDonald’s tells its story using its products in a visually fun way. Another option is to create educational content in a visually interesting way—92% of marketers believe the purpose of a video should be to inform or educate. 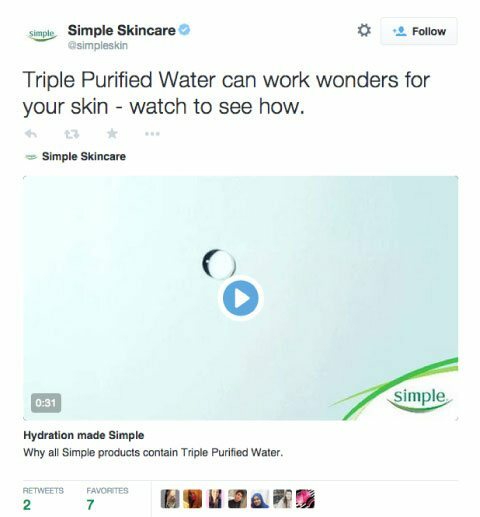 Simple Skincare has been putting this into practice by creating educational Twitter videos that are conversational, informative and fun to watch. Be educational to provide valuable content to your followers. Whether you want to tell a story that’s fun, educational or corporate, video is an important tool to use because people respond well to visuals. In fact, studies show that visuals drive up to 180% more engagement. The great thing about Twitter video is that anyone with a smartphone can upload his or her own video. Why not ask users to contribute a video? Or you could run a contest that encourages user-generated content. Think about what you want the subject of the video content to be and start promoting your request. Do you want a simple, fun video or do you want your followers to include your products? Let them know, especially if the video is a condition for entering a contest. 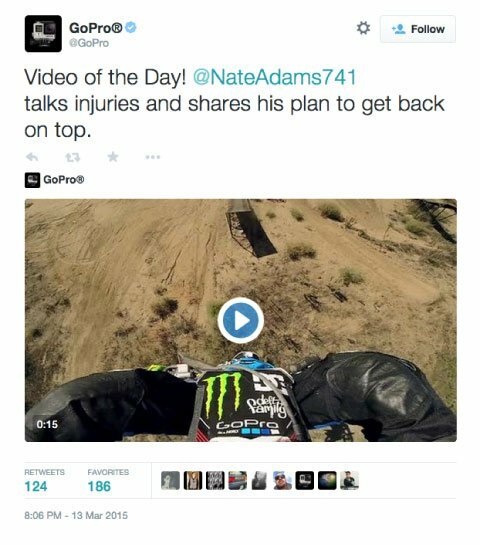 GoPro regularly asks followers to send in videos and shares a video of the day with followers. Get your followers involved by sharing your followers’ videos. Be sure to give people a unique hashtag to use when they share their Twitter video so you can easily find and track them, as well as promote the hashtag across audiences to increase your followers and boost your brand awareness. The new Twitter Engagement feature is a great benefit when posting Twitter videos. The option is available in your profile and lets you view the metrics of every tweet you send. 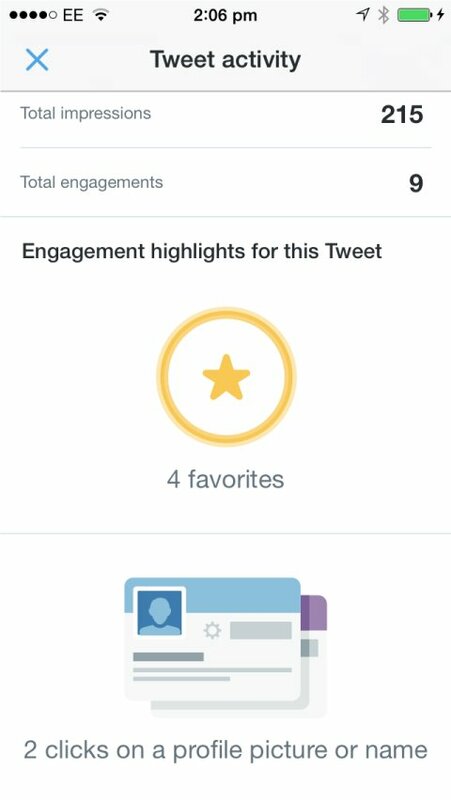 Now you can see how many views your video got, how many people engaged with it and whether it had any retweets. Keep using Twitter Engagement to understand what your audience likes. When you know what people are responding to, you can include those elements in future videos. You can also easily determine the best time to post based on the interaction with current and past videos. 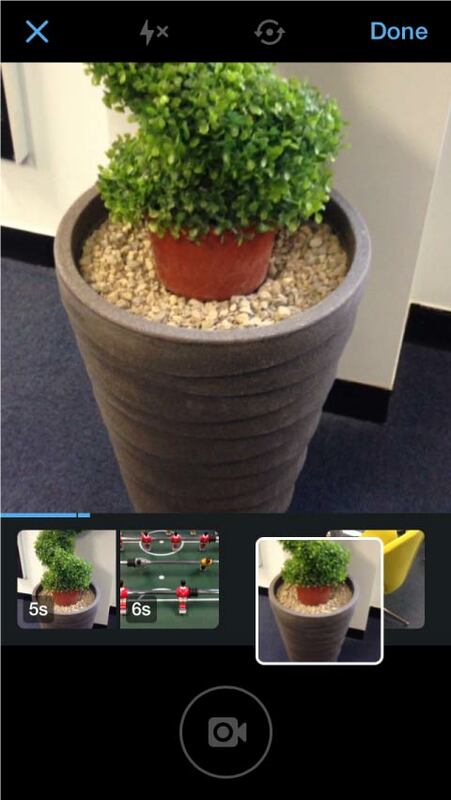 As you can see, brands have already started to get creative with Twitter video, so why not join the fun? With another great way to release real-time, fun content, Twitter’s new Video feature can help you gain more exposure and build your fan base. What do you think? Have you uploaded any Twitter videos yet? How did they perform? Leave your experience in the comments below.